People always ask me, "what's your secret?" and I laugh and tell them it's no secret. Thanks to a huge lifestyle change and the wonderful support system of work buddies, friends, and The Body Shop (onsite corporate fitness center) and its staff I have lost almost 100lbs, maybe more. A couple of years ago, the girls I ate lunch with every day decided to lose weight. I had been down this path before and was not excited. I hadn't weighed myself in well over a year and had no intention of starting. Because my friends were doing it, and I didn't want to eat lunch alone, I gave a half hearted effort. I decided to stop drinking regular soda and participate in whatever physical activity they did. And that is exactly what I did and miraculously my clothes started getting bigger. We were just walking on the treadmill or outside at our lunch time and giving up soda and I could see results. As the initial loss, whatever it was, had slowed because the changes I made were only mild, and as I saw my friends who were already participating in Weight Watchers begin to lose more rapidly, I wanted to make bigger changes too. So I had to finally weigh myself. By this time, I had started at a size 24 and was now in a 22, and some 20's, but still hadn't stepped on a scale. When I finally did I weighed 238 lbs. I cried the entire day, and thought how did I let myself go this far? And so I began to count calories, and changing everything about my life. Eventually through regular physical activity, tracking what I ate and counting calories, I have made huge changes. It's still a struggle every single day, but when I fall off the wagon, I start again immediately and you know what, the struggle is worth it. I have zero health issues and I can keep up with my kids. I look like a different person and I feel like a different person, a happier, much healthier person. What struggles have you overcome to achieve a healthier lifestyle? Getting bored with the same old workout? Out of habit, do you get on the same cardio machine because it’s what you always do? Not sure what to do to get over the plateau and start seeing results again? I’ve created this cardio workout to help guide you to trying new things. More than likely you’re not pushing yourself hard enough by doing the same cardio workout. The body gets in a routine just like you do, it’s time to change it up and keep the body guessing what is next. You will be surprised what your body can do and how good you will feel afterwards! Watch the short video for guidance, give it a try, and let me know what you think…. Slide and glide back & forth for 1 minute to cool down. Haven’t had enough yet? Repeat the workout or start from the bottom and work your way back to the start! Last but not least, have fun trying something new! Your body will thank you for it! Do you like what you see? 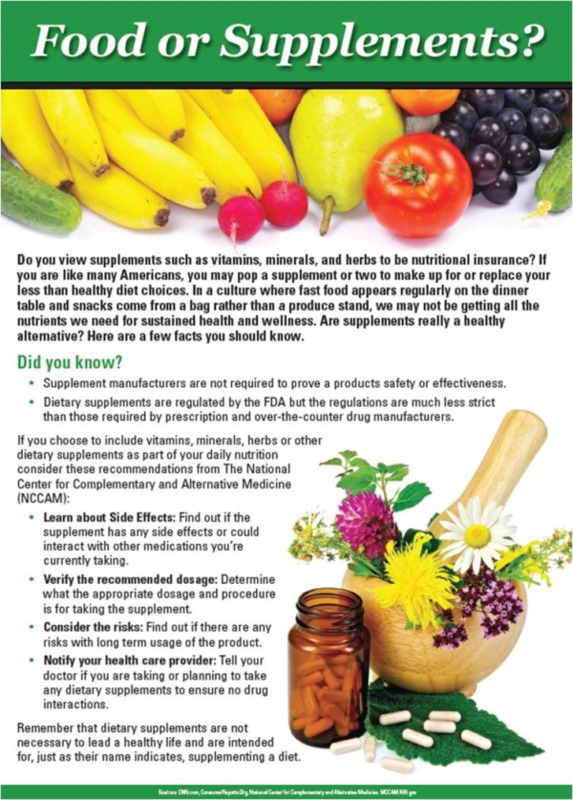 NIFS Monthly Bulletin Boards are available for purchase to utilize in your corporate fitness center or active aging community, contact us for more information. Being in the fitness field, we hear excuse after excuse as to why people skip exercising. It’s not that we aren’t interested in your life and stressors, but we do not want you to feel obligated to explain yourself. Life happens, as any understanding person should know, and sometimes we just can’t do it all. But don’t think you’re off the hook from exercising. The reasoning behind your skipping out is important. I always tell the apologetic exercisers that it’s okay to miss a day, as long as they weren’t sitting on the couch eating ice cream right out of the container or sulking in bed. However, if you were doing something along the lines of getting together with friends, cheering on your child at a ball game, volunteering in the community, or organizing and cleaning your home, missing a workout is not the end of the world. Spiritual: The development of a strong sense of values, ethics, and morals. It is the feeling that there is meaning in life, which may or may not have a religious inference. Intellectual: The ability to effectively learn and use information for development. This dimension increases openness to new ideas and maintains creativity and curiosity. Environmental: The understanding of the impact of your interaction with nature and your personal environment, which will help improve the standard of living in the community. Social: The ability to feel connected and participate in your community and enhance your well-being through relationships with family, friends, and coworkers. Emotional: The ability to control stress and appropriately express yourself, leading to positive self-esteem and meeting life’s challenges. Occupational/Vocational: The ability to find and create a balance between work and play by matching your values with interests and utilizing talents in your world. Physical: The ability of the body to properly and effectively function by staying active and avoiding harmful habits in order to accept uniqueness and improve health. As long as you are contributing to and feeding these other dimensions equally, there is no need to be overwhelmed with guilt for not hopping on an elliptical for 30 minutes. Be conscious of your decisions and don’t punish yourself for missing a workout, because exercise can quickly become a chore if we shift our mind in that direction. Feed your wellness with all dimensions, and if you are falling out of balance in your physical wellness, search for an activity you enjoy. Be active, be healthy, be you. Don’t forget about the core muscles! The core helps to protect organs and keeps the torso strong enough to connect the upper body with the lower body. A strong core helps with balance and stability in everyday activities. Core strength also helps with all activities and sports. It’s very important for athletes to have strong core muscles. Strengthening the core muscles can help to relieve lower back pain/problems and increase good posture. Just like every other muscle group, our bodies need a good core workout on a regular basis. It doesn’t take long; you can get a full core workout in 15-20 minutes or less. I work at a corporate fitness center and teach multiple core classes a week. Try my workout below and let me know what you think! Form is very important, so view the video clip prior to starting for helpful tips. On back, hands underneath you supporting the lower back, legs straight in the air, feet together, lower legs pushing the lower back into the mat. Use the stomach muscles to lift the legs back up. Perform the exercise slow and controlled. 15 leg raises, then hold the legs just off the floor and hold for 15 seconds. Next, 6 little circles one direction keeping feet together. 6 circles the other direction, then finish with a 15 second hold again. Flip over to a center plank for 1 minute – on elbows & toes, shoulders above elbows, weight pushed back towards feet, keep hips low, body in a straight line, abs pulled in tight without holding breath. Modification can be done on knees instead of toes. Turn to a side plank for 1 minute – shoulders above each other, bottom hip up off the mat, feet on top of each other, abs in tight without holding breath. Modification can be done with bottom knee on the mat, still keeping bottom hip up high. Flip over to the other side for 1 minute – form is important so see details above or video clip! Back to a center plank (see video below) – lift one leg for 10 seconds, switch legs. Lift one leg out to the side (see video below) for 10 seconds, switch legs. Hold a perfect center plank for 30 seconds. Back to a side plank, but this time lift the top leg up for 15 seconds, then one leg lift to one truck rotation (see video below) for 45 seconds. Back to a center plank hold for 30 seconds. Relax on mat (on your stomach) for a few lower body exercises. One arm up, other down by side on the mat, use the lower back to lift the chest up & down off the mat. 15 reps. Switch arms and repeat 15 reps.
Keep neck and shoulders relaxed, exhale when you lift, slow & controlled, always pause at the top to squeeze the lower back muscles. See video for a form check! Both arms and legs up & down. 10 reps, then hold for 10 seconds. Opposite arm & leg, lift and pause, then switch to the other arm & leg. 30 seconds. One arm out to side, other arm down by side on the mat, lift and rotate towards the arm that is straight out. See video. 10 reps then switch arms & sides and repeat 10 reps.
Back up to a center plank hold for 30 seconds. Flip over to your back for bicycles (see video for form and modification) for 30 seconds. Not tired yet? Repeat the workout. Not ready for this long of a core workout yet? It’s ok, start with a couple exercises and work your way up to completing it all. If you like the FREE WORKOUT FRIDAY, subscribe to our blog! You likely receive feedback from residents on how much they enjoy certain group fitness classes or instructors, or perhaps the NuStep in the fitness center. You hear it in passing comments like, “Don’t get rid of the yoga instructor,” or “We need another NuStep.” Those comments provide great feedback as part of your overall assessment of the fitness program. But beyond those individual preferences, how do you measure the true value of your community fitness program and what it lends to your resident population as well as to your community’s marketing potential? Your lifelong exercisers will likely find opportunities that they enjoy no matter how much or how little your community is able to offer. Positive feedback from these select participants doesn’t mean that your program is making the grade for your resident population as a whole. 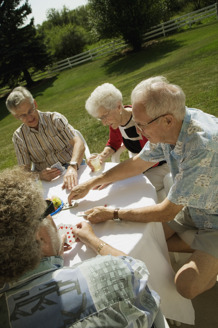 There is likely an untapped audience in your community and creative programming plus personal touches can help draw those less active residents into the fitness center and/or classes. This is definitely an area of strength for us. 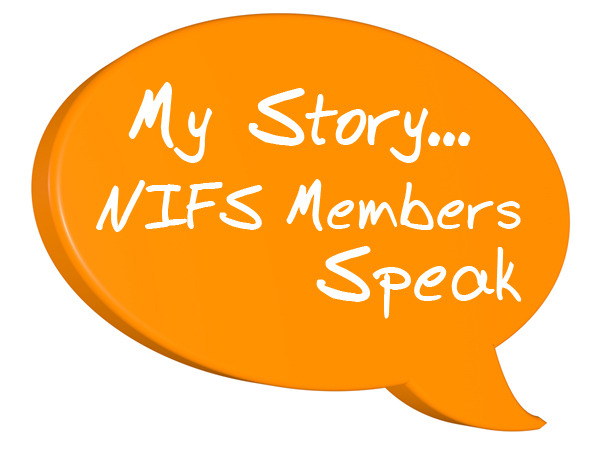 Our clients quickly see the benefits of a partnership with NIFS when we can show them exactly who is participating in our programming. So that begs the question: Do you know what percentage of your residents participate in group fitness classes or uses the fitness center from month to month? Which classes are the most popular or which pieces of equipment are most frequently used? Have your residents shared why this is the case? If you can’t answer all or some of these questions, that likely means your community fitness offerings could benefit from a more solid foundation to evaluate participation and resident interests. Utilization of your fitness center and participation in group fitness classes should be tracked daily and reported on a regular basis. Communities can determine the information they would like to evaluate and implement tracking methods for their fitness staff and residents. We find that residents take to simple sign-in sheets fairly easily and fitness staff and group fitness instructors can provide friendly reminders to residents to sign in. Providing a structured memberhsip process is a good starting point to clearly track who is and is not participating. Conduct annual surveys to gather direct resident feedback to rate the overall quality of existing classes, instructors, programs, and services. Learn from the resident population as a whole (don’t just send the survey to active participants) about additional programs that they would like to see or ask them to share why they aren’t currently participating. After processing the results, develop an action plan to follow up with individual residents or on general program improvements to continually evolve the program and hopefully engage more participants. Your fit and active crowd will likely be the most vocal about the types of equipment they would like to see or group classes they would like to try. However, it is important to regularly evaluate the full scope of programing including balance in class offerings, available equipment, and scheduled programs focused on fitness. 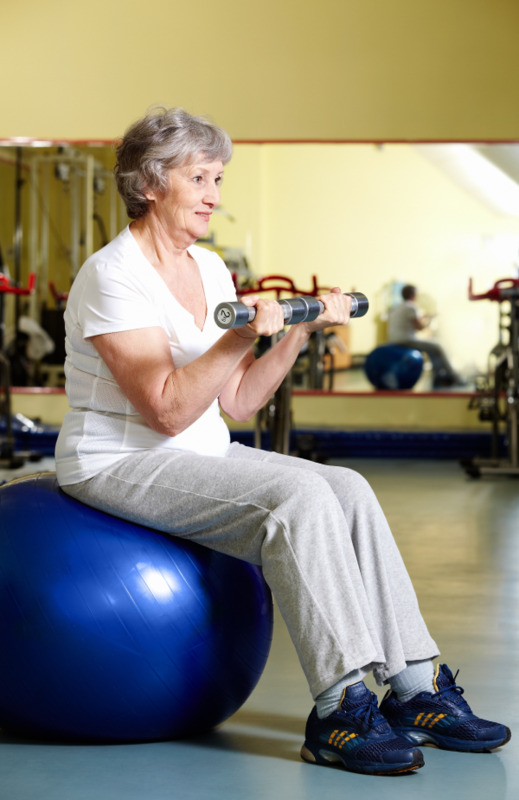 Residents of all ability levels should have exercise options in the fitness center as well as group exercise classes for their specific needs. It’s fine for instructors to provide modifications for residents of all ability levels in classes, but it’s important for lower-functioning participants to feel like they have options all their own and that they aren’t simply being condescended to in a group of more able-bodied residents. Taking these simple steps can help improve resident satisfaction in your community fitness offerings. It will also provide more concrete talking points for your marketing department when speaking with prospective residents. Important program metrics coupled with powerful and personal success stories speak volumes to prospects who are trying to gain an understanding of what their lives can be like if they move into your community. Do you need to improve your posture? Sit at a desk all day and not realize that you slouch? A lot of people focus on the front of their bodies and forget to work the back side. Go to your corporate fitness center to start strengthening your upper back muscles which will help to pull your shoulders up & back resulting in better poster. Strengthening the upper back can also help with back pain. A stronger back will produce stronger shoulders and shoulder joint, resulting in less risk for injuries. Now that I’ve got you thinking about your posture, sit up straight! I’ve got your “back” so try this upper back workout for an improved quality of life! *Very important tip when performing upper back exercises is to make sure the shoulders are rolled back and use the upper back by squeezing the shoulder blades together instead of pulling with the arms (biceps). Always focus on lifting with the back, and not holding your breath! Your muscles need oxygen to get stronger so think about taking deep breaths throughout all workouts. Summer will be here before we know it, which means spending time outdoors and hotter temperatures. Men will be working outside or spending time at the pool, which usually means having their shirts off. And women will be wearing dresses and also spending time outdoors. It’s time to focus on our backs for strength and a better appearance. How do you get ready for summer? Part 2: Your Program Is Set Up... Now What? In the first part of this blog, we talked about key strategies to set your program up for success. 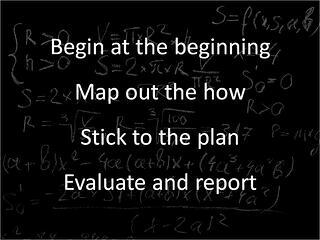 Remember “begin at the beginning” and “map out the ‘how’”? If you’re still intent on getting data you can actually use from your wellness program, keep reading to learn what do to now that you’re ready to run the initiative. This seems so obvious, so I won’t spend much time on it. Here’s the thing: you spend a lot of time mapping out the goals and the objectives to achieve those goals, and then you design your program around that outline. For heaven’s sake, stick to the plan. Implement the program as close to the original design as possible. If you get into the offering and you find a fatal flaw in the plan, change what you must, but in order for your evaluation to be true, educational, and actionable, you need to stick to the plan. Drum roll, please. We’re about to get to the goods, so stick with me here. So, you set up your goals, you map out how you will accomplish the goals, you craft your program accordingly, you bravely stick with the plan, and then when it’s all over, you evaluate how you did. Overall effectiveness of the program: We calculate how we communicated the program, how many people we reached, how accurately we ran the initiative, how many people completed the program, etc. All of that gets folded together into a program-impact score. The numbers that feed into the impact score and the score itself allow for year-over-year (or program-over-program) comparisons for effectiveness over time. Achievement of our goals: If we set up the goals correctly so that they were measureable, and we ran the program knowing the data we needed, we should be able to figure out whether we reached our goals. In addition to crunching some basic numbers, our staff members are responsible for reporting their program results to their supervisor, who then works with the manager on developing strategies for future program improvements. The supervisor also makes sure that best practice information is shared among other staff so that important lessons learned can be used by everyone. After all, if you hit on some brilliant technique for communicating with the audience you need to reach, shouldn’t the entire community working with that audience benefit from your success? We’ve been following The Wellness Challenge program as an example throughout these two blogs. So let me wrap up with some of the juicy data Reggie, the manager responsible for this initiative, was able to gather based on pre- and post-program evaluation. Goal 1: Have at least 80 participants with approximately 1/4 of them being staff. Did not fully meet: Had only 72 participants, but 29% were employees. Goal 2: Increase class participation totals by 15% and increase fitness center visits by 250 per month throughout the challenge. Goal met: Increased class size by 65% over prior 2 months and increased FC visits by 435 compared to prior 2 months. Goal 3: Increase fitness center membership by 10 members (5 residents and 5 staff) during the challenge. Did not meet: Increased staff membership by 3 and resident membership by 2. Hold an orientation/team meet-and-greet before the challenge starts. Reconsider food point system to possibly include fruit. Reconsider prizes. Try giving away less money. So Reggie learned he’s got some work to do if he folds those same unmet goals into next year’s offering. He’ll need to revamp his strategies. He’s already well on his way to crafting that plan because he has this complete outline on which to build an improved The Wellness Challenge. How Are You Evaluating Your Programs? Certainly there’s more than one way to skin this evaluation cat. How are you doing it? What are you learning? Program evaluation is only one element of a first-rate wellness strategy. Communicating a strong wellness brand, having quality physical spaces for where your initiatives can occur, and cultivating amazing wellness staff are all central to a fabulous program. I think our staff members roll their eyes every time they hear me start talking about gathering data from our programs. That might be because I talk about it a lot; it might also be because I’m a little bit of a geek about data. Regardless, they can eye-roll all they want, because when the data gathering and program evaluation is done right, well, it’s a beautiful thing! It’s a team challenge, so there’s potential for socialization built into the fabric of the program. The program is open to residents and employees, so there is a very real buzz at the community, with individuals across the campus engaged in the challenge. It capitalizes on the healthy resolution wave that follows the indulgence that is the end-of-the-year holiday time. Now, to be fair, this program was not the brainchild of the current NIFS manager, Reggie. However, he was able to take the original offering from his predecessor, which involved no evaluation strategy, and transform it so that we have both a rich offering for the client, and actionable data that will inform future offerings of both this program and others like it. What, you ask, is actionable data? Good question! In this two-part blog, we’ll look at four tips for getting the data you want from your wellness program. Part 1 focuses on the before-you-launch-the-program elements (tips #1 and #2). Part 2 will focus on during-the-program and post-program components (tips #3 and #4). The whole evaluation and data thing starts by being strategic with the program on the front end. That’s right; we are moving away from running fun programs just to run them (shocking, I know). The staff members actually set program goals before they run the program and then they make sure that the program they’re offering is set up in a way to allow for evaluation of those goals. You can’t assess your progress on the goals if they aren’t actually measureable. This sounds intuitive, but people miss the boat on it all the time. 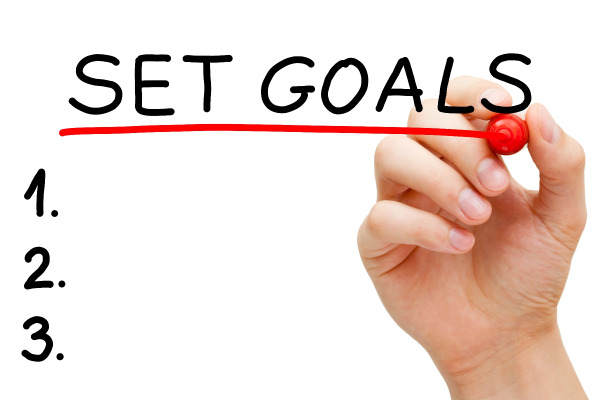 Establish goals that are S.M.A.R.T. For more on this concept, check out this blog. Keep the list fairly short. This isn’t a research study with all kinds of grant money and data heads behind it. Stick to what you know, and keep the goals manageable in terms of volume; two to three goals per program has worked for us. Before you get too far ahead of yourself with lofty, complicated goals that make you sound really smart, you also need to be sure you have the tools to measure the goals. In truth, most of our staff are operating with fairly traditional supports. We use a lot of spreadsheets (though not infinitely complex ones), and in some cases we have software that helps with visit reporting, etc. You’ve established these two to three program goals. They are succinct; they tie back to your overall wellness program focus; they are written on a scale you can support. Great job! Now it’s time to map out your plan to actually achieve those goals. No, it’s not enough to outline the goals and then just run the program. That’s like pulling up to the shooting range and saying, “Ready…Fire!” Forgetting to aim means you will most likely miss your target―unless you are extremely lucky. You won’t want to miss part 2 of this blog, where we look into how to run the program and what to do when it’s over. Imagine you’re back in high school gym class. You walk into the gymnasium and what’s the first thing you do after roll call? That’s right; you warm up with some stretching before getting bombarded with dodge balls. Flash forward to present-day fitness centers, or more accurately, fitness centers in the past 10 years. The current trend is to warm up with some light cardio before dominating your workout and finally finishing up with some stretching to cool down. Sounds much safer, right? Wrong! There has been new statistical data to support the case that stretching is, in fact, a complete waste of time. 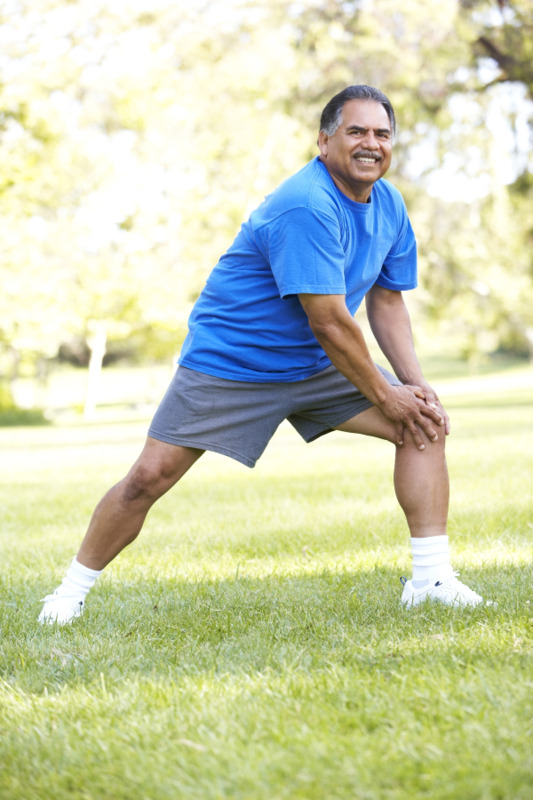 The biggest benefit of stretching (so people say) is to prevent injury. How can stretching possibly prevent injury? Simply put, stretching lengthens the muscle. By lengthening the muscle, this only elongates and spreads out the muscle fibers. And by spreading out the muscle fibers, your muscles become weaker and more susceptible to injury. Which is harder to break: 10 individual toothpicks or 10 toothpicks stuck together in a pack? The 10 individual toothpicks would easily break while the pack of 10 toothpicks would work with each other to protect the pack as a whole and become more resilient. It’s a common and well-known aspect of resistance training. Stay tight. Stay compact. If you are performing the bench press, you do not want your arms and shoulders spread out. That will only lead to a dislocated shoulder. If you stay compact, engaging your chest and core before your shoulders and arms, you will be able to lift more and lift safer. The same thing can be said for running. The farther you reach out your stride, the more that forefoot (the front foot coming down toward the pavement) will push you back upon landing. In a recent study, 1,543 serious runners were able to link stretching to serious muscle problems. Dr. David Lally found that 47% of male runners who stretched regularly over an extended period of time became injured at some point during the study, while only 33% of male runners who did not stretch regularly became injured. This has to end! We don’t stretch to loosen up before we warm up anymore. We don’t lock our knees on squats anymore. We don’t arch our backs for additional strength anymore. It’s time to end stretching altogether. Simply use a wide range of motion during resistance exercises to improve flexibility in the muscles and to prevent injury. And to those who believe a word of what you just read, Happy April Fool’s Day! Now head to your Corporate Fitness Gym or Community Fitness Center and get a good stretch session in to start your week right!